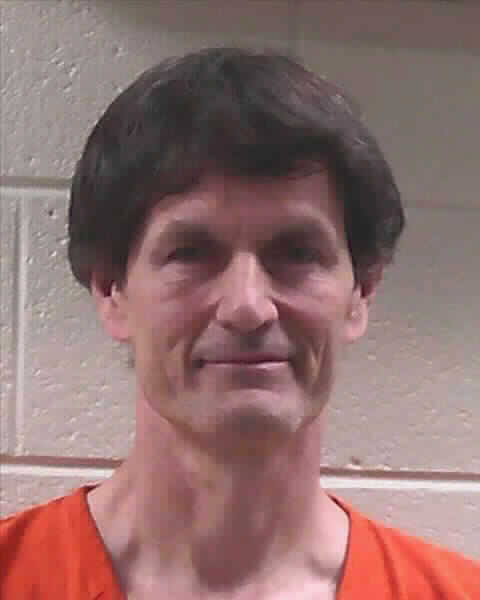 JASPER, Ga. – The Bond hearing for Neil Roger Farrell, 56, and Janet Lynn Farrell, 54, began today as they face charges in the case of Olivia Farrell. 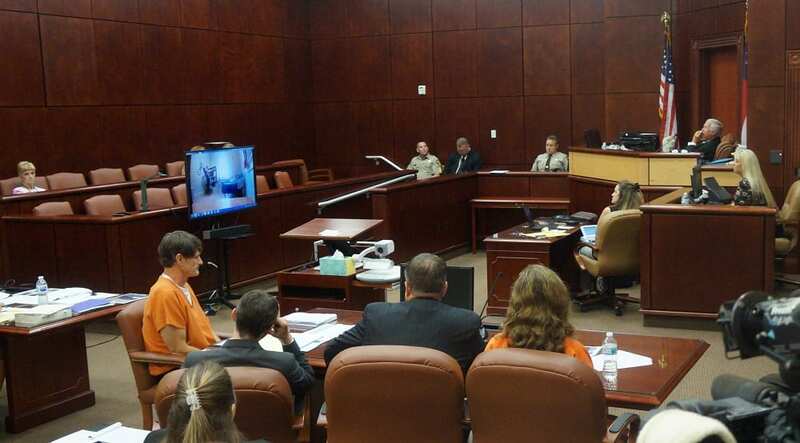 However, the Bond Hearing has not reached a conclusion yet as the defense requested, and was granted, a continuance by Superior Court Judge Mary Beth Priest. Both defendants are charged with Exploitation and Intimidation of Disabled Adults, False Imprisonment, and 2 counts of Cruelty to Children in the 1st Degree. 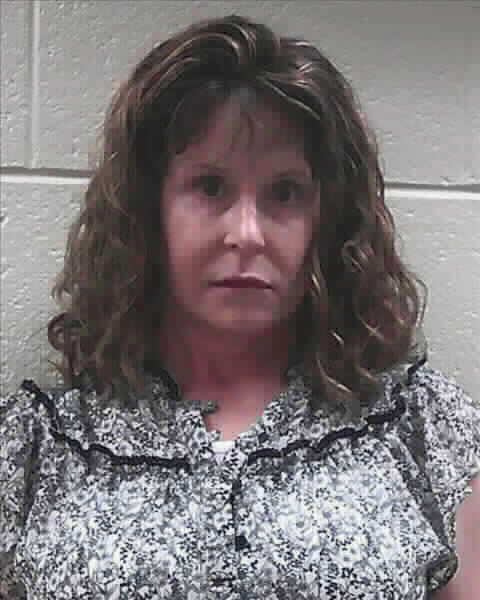 The bond hearing was originally set for 2:00 p.m. today, June 28, to be heard by Magistrate Court. 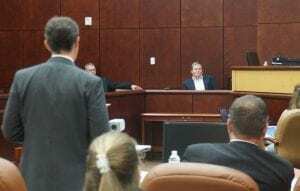 However, a release from the Pickens County Sheriff’s Office yesterday announced the hearing had changed to 10:00 a.m. to be heard by the Superior Court. The day began with a delay as the defense requested an extra ten minutes to discuss matters with their clients and the prosecution. Both Attorneys for the prosecution and defense approached the bench twice during the delay as well. Upon returning, an official motion was made for a continuance. According to the defense, the trial came up so quickly that they were unable to have all the supporters and preparation that they would have wanted for the bond hearing. 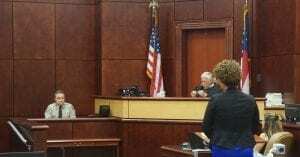 While it was admitted that a continuation on a bond hearing is unusual, the request was made and granted based on the quick hearing and the changes to the hearing made only the day before. However, as attempts were made to schedule the continuance, a specific date around the coming holiday week could not be reached immediately. Judge Priest did note that she was not assigned the case and another judge could hear it. With that in mind, she left the prosecution and defense to settle on a date and to schedule it with the appropriate judge. Though no date has been set at this time, FYN will continue to offer updates when made available. Pickens County Georgia, June 26, 2018: On Saturday, June 23rd at approximately 5:00 pm, Olivia Farrell went missing from her residence in Bent Tree Community within Pickens County. Olivia is 18 years old and it was reported she had Behavioral / Emotional Disorders. She left the area on foot and it was unknown at the time if she was picked up or not. The Pickens Sheriff’s Office worked with Pickens County Fire and EMS teams, the Public Safety Division of Bent Tree Community, the Cherokee County Sheriff’s Office and Georgia State Patrol Aviation units to search the area throughout the night and into the next day. In addition to local searches, detectives with the Pickens Sheriff’s Office worked with family and other known individuals to look at any and all possible locations. FetchYourNews received notification on June 24th at approximately noon, that Farrell was found and was safe. FYN received a release earlier today, June 26th, this missing person incident resulted in the arrest of two individuals for significant abuse charges. Pickens County Georgia, June 24, 2018: Pickens Sheriff’s Office detectives arrest parents of a teen following an extensive missing person search over the weekend in Pickens County. On Saturday (June 23rd), deputies were dispatched to the residence of Neil and Janet Farrell regarding a missing and possibly endangered person. The Farrell’s reported that their 18-year-old daughter, Olivia, had walked into the woods hours before and they had been unable to locate her. The Farrells also stated that their daughter had a variety of behavioral issues that placed her in jeopardy. The parents also detailed that they had been granted active adult guardianship over Olivia. What followed was an extensive search of the gated community and surrounding areas that lasted through the night and into the following day. While the search was ongoing, detectives continued to work closely with the family to gather information to assist in locating Olivia and determine what risks may exist regarding her physical and mental health. During the search and investigation, detectives discovered several areas of concern relating to the treatment and discipline of their missing daughter. Some of these included the use of video recording equipment inside of the daughter’s room, a lock on the door that prevented her from leaving the bedroom, and the lack of any personal affects within the room. Pickens Sheriff’s Office to be evaluated. In addition, she was provided food and clothing. During the investigation, evidence was gathered that indicated that a common form of discipline had been for her to be locked into her bedroom for varying periods of time, ranging from days to months. During some of these time periods, she would only be provided meals and very limited opportunities to use a restroom. If restroom breaks were needed outside of these time periods, on at least one “grounding period”, she was provided a bucket in the room. In addition to being locked in the room, the Farrells would also use video and audio recorders to monitor all her activity inside of the room. These forms of punishment would also be accompanied with other forms of punishment that included a method to beat the soles of her feet to prevent visible bruising. Both Neil and Janet are currently charged with Exploitation and Intimidation of Disabled Adults, False Imprisonment, and 2 counts of Cruelty to Children in the 1st Degree. The case is still being actively investigated and additional charges may be forthcoming. A Bond Hearing has been scheduled for both in Courtroom D of the Pickens County Courthouse on Thursday, June 28th at 10:00 am.